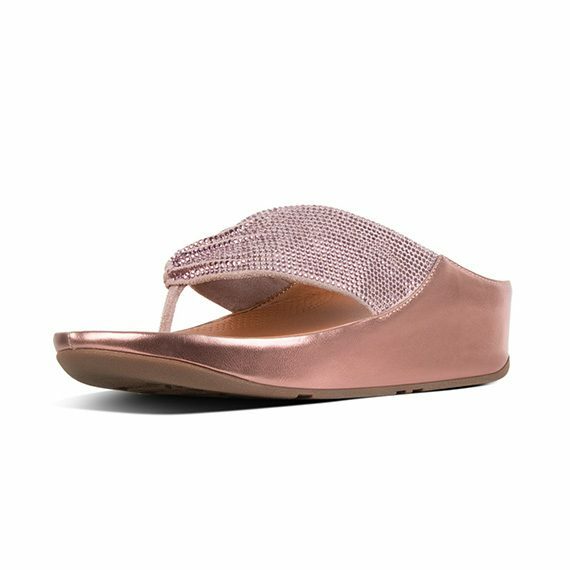 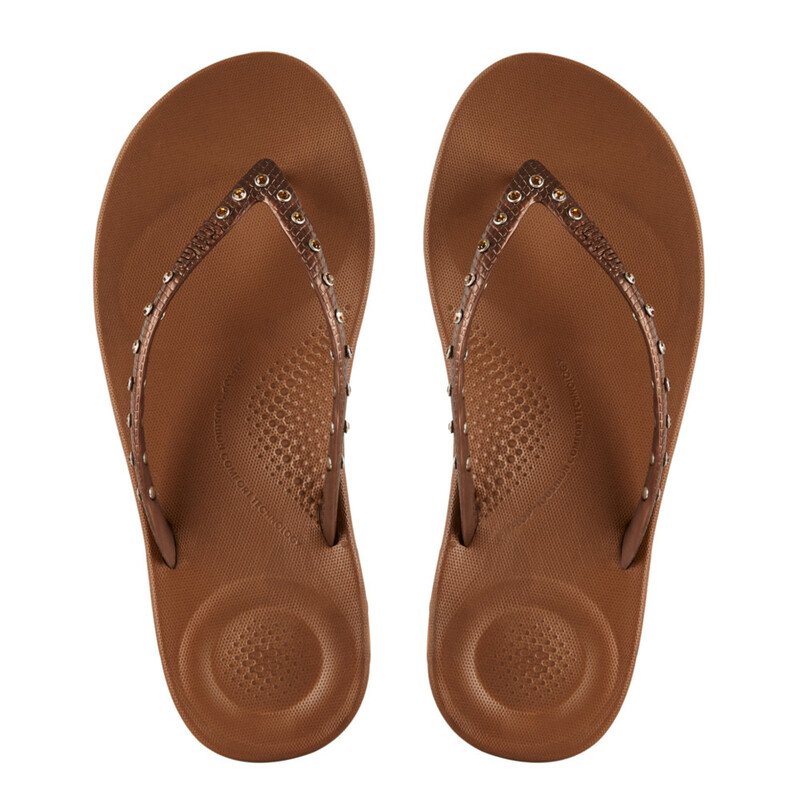 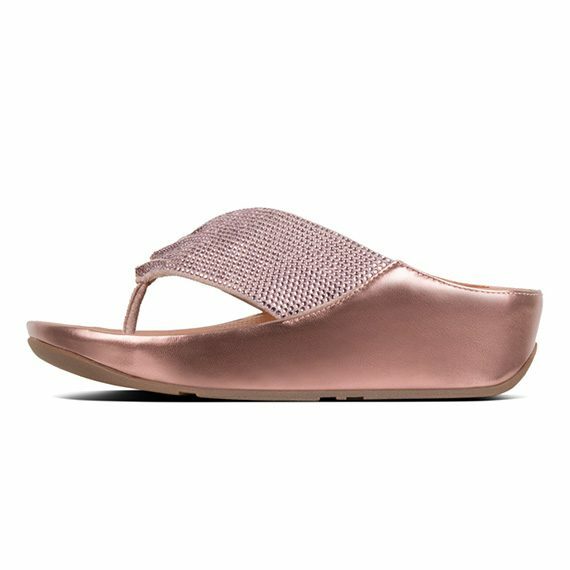 Studded with shiny crystals, these superskinny toe-thongs deliver a touch of sparkle…and a ton (metaphorically) of comfort. 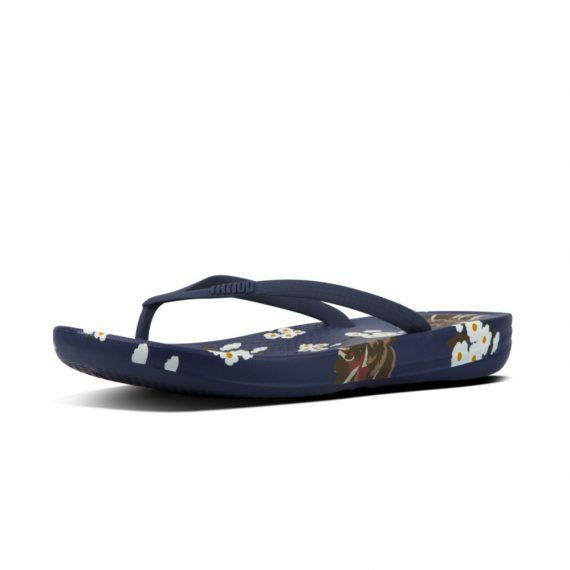 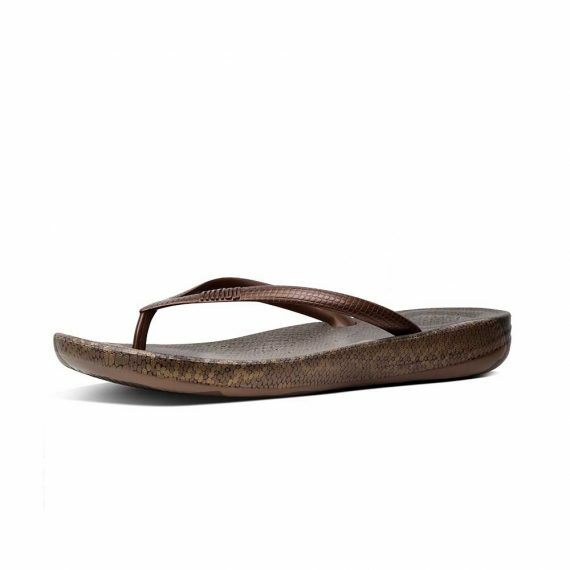 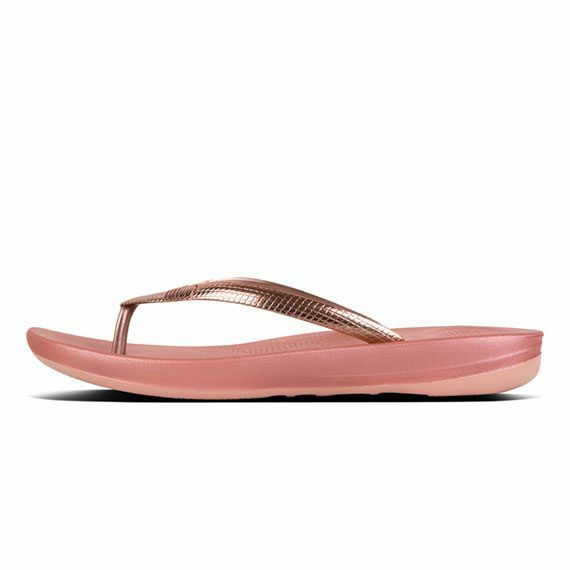 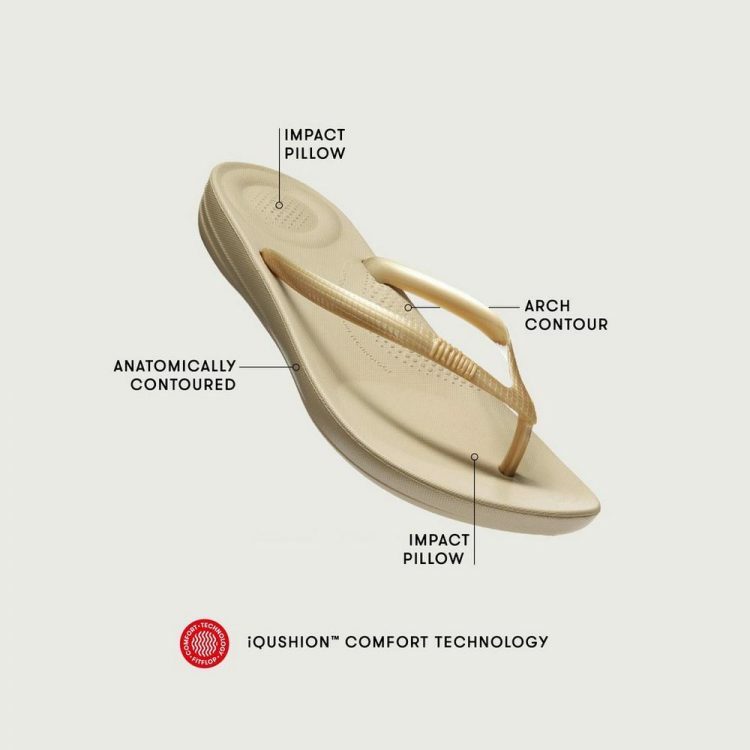 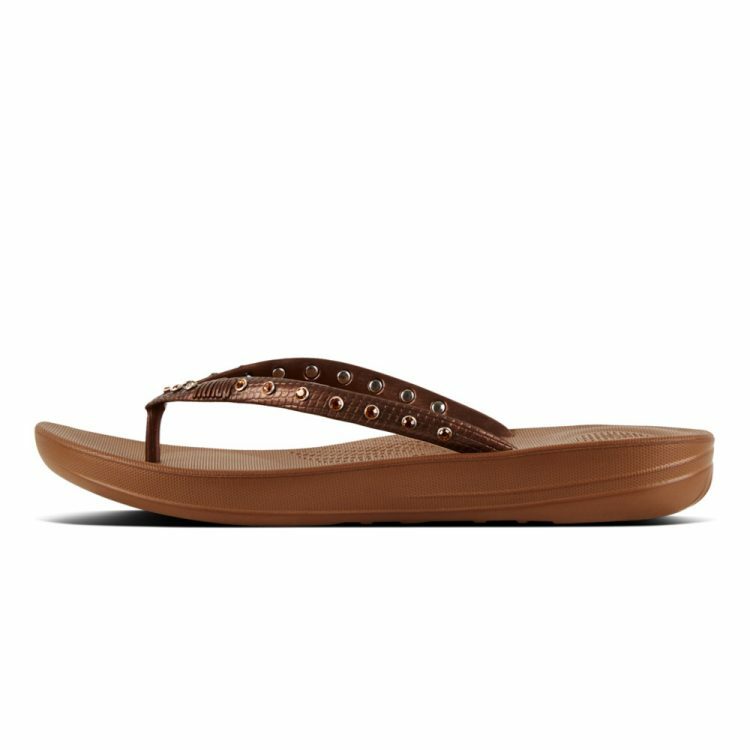 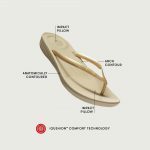 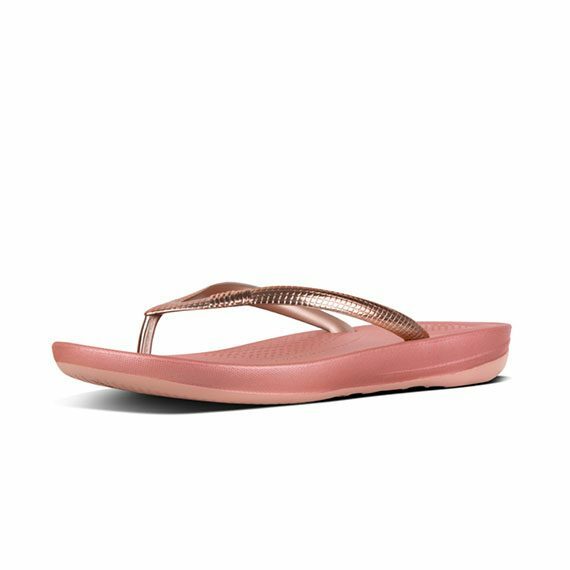 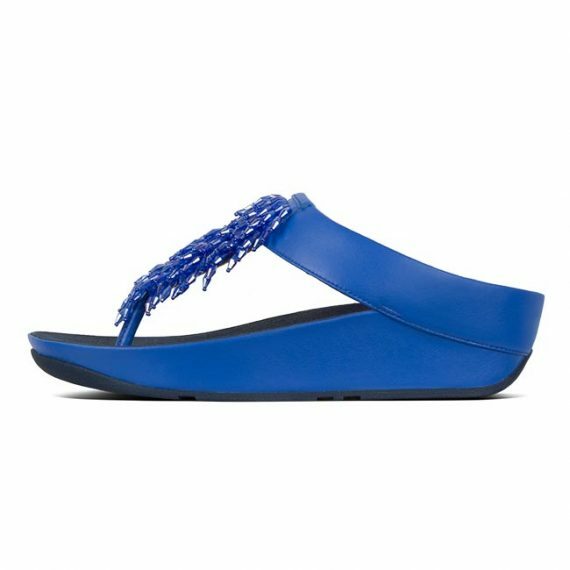 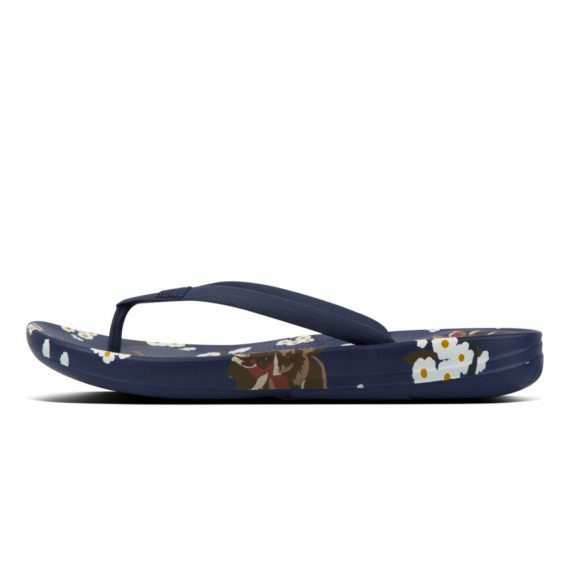 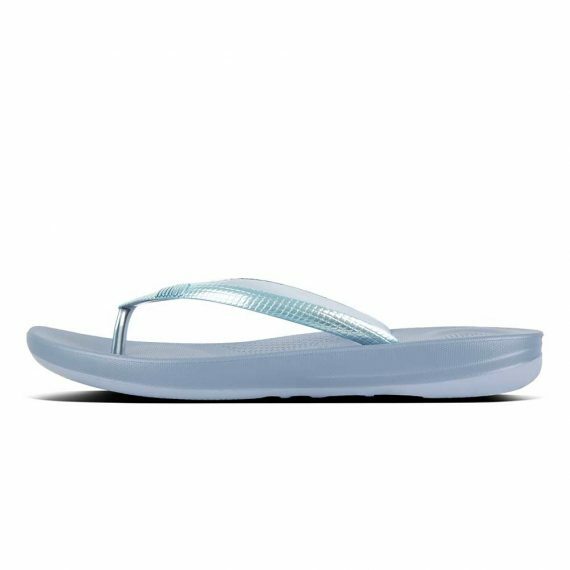 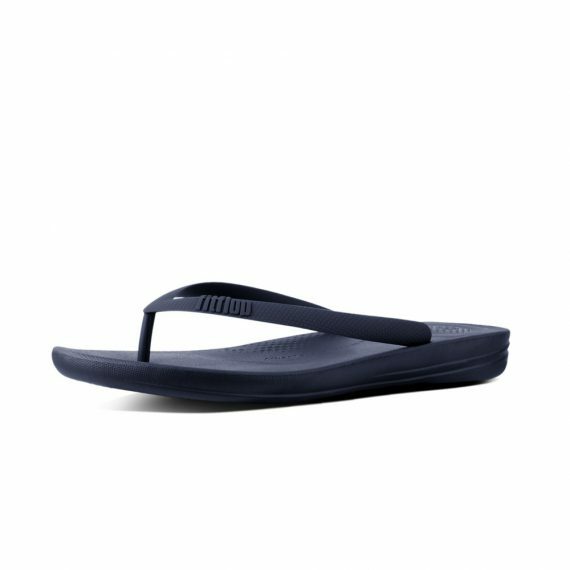 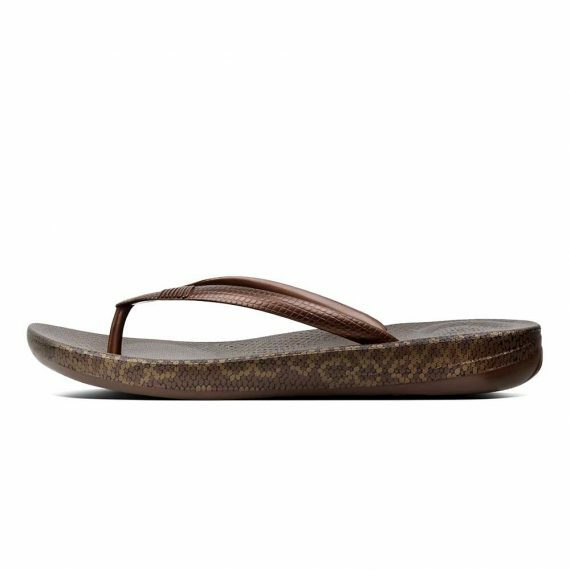 Where ordinary beach-proof flip-flops are flat slabs of rubber, slip these on and you’ll instantly feel FitFlop’s amazing iQushion™ tech get to work – extraordinarily light, ergonomically shaped air-foam cushioning for walk-all-day comfort. 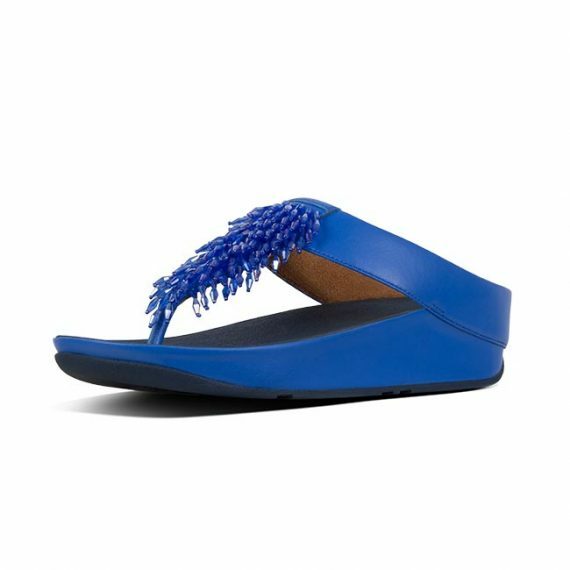 Brilliant in every sense.